Only got 24 hours to see it all? 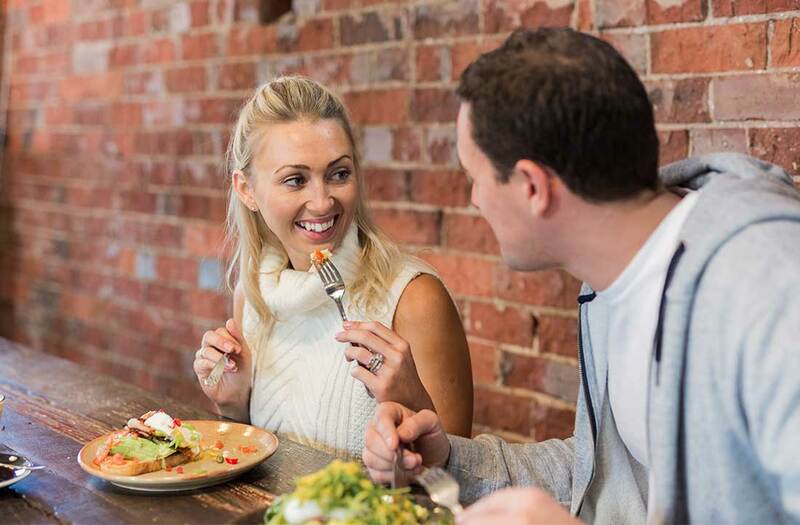 Whether you’re in between events or breaking up the journey, you’ll certainly be able to pack a lot into a day in Wagga Wagga. The best thing? It’s all possible with just your own two feet, so strap your shoes on and get ready for a perfect Wagga day. Make your way to The Blessed Bean Coffee Roasters in Best Street where locally roasted coffee and gourmet breakfast options will have you ready and inspired to take on the day. Head towards the river and walk along part of the Wiradjuri Walking Track to Wagga Beach. Be sure to stop into the Visitor Information Centre for handy tips and info from locals on your way past. Loop back from the beach via Church and Cross Street, where many churches in Wagga are located. Cross Tarcutta Street to wander past the Wollundry Lagoon and under Wollundry Bridge to view the magnificent memorials, Chisholm Fountain and Eternal Flame monument in the Victory Memorial Gardens. 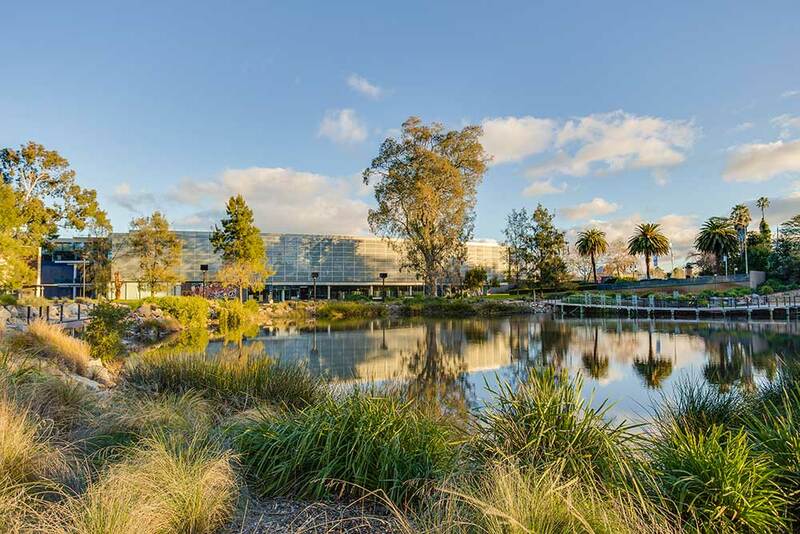 Across the road, the Wagga Wagga Art Gallery within the architectural award-winning Civic Centre display show-stopping travelling exhibitions and pieces from an extensive local collection. The National Art Glass Gallery, made mostly from glass itself will amaze you with stunning displays. While you’re in the area, stop by the Wagga Wagga City Library for free Wi-Fi or jump on a computer and let everyone at home know what you’re up to in Wagga! Morning tea is a must when you’re sightseeing. 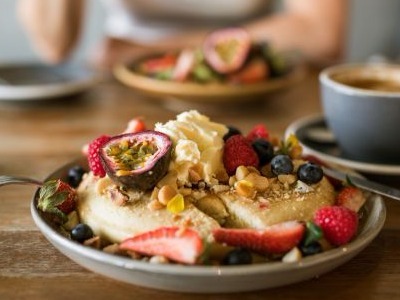 Nearby, Harans Patisserie offer daring sweet delights to feed your eyes as well as your appetite and Mates Gully specialises in using local produce, much of it grown at the Mates Gully Farm and delivered fresh to the restaurant daily. The Museum of the Riverina within the Historic Council Chambers is home to an ever-changing schedule of major exhibitions, bringing stories of local and national significance into the heart of the city. Call in to see what’s on display. Fitzmaurice Street is the historic business district, and in recent years has undergone a period of rejuvenation which has has seen cafes, restaurants and boutique shops popping up in heritage buildings all along the street front. Call into CAVE BBQ for a slow cooked ‘global barbecue’ experience with burgers, ribs and wings. Or maybe you want to try something from Thirsty Crow’s extensive all-day menu including unique pizzas, sharing plates, house-smoked goods, and an array of seasonal produce. Don’t forget to taste at least one of the award-winning beers brewed on-site. After lunch, satisfy your retail appetite with local boutiques and specialty stores you won’t find anywhere else. Paper Pear is a visual feast – artworks sit alongside a curated selection of Australian handmade items to tempt you at every turn. My Shed is where you can find all the pieces you need to add some style into your life. Further along, Feather & Willow beckons you inside with a handpicked range of sustainable and eco-friendly homewares and gifts, full of rich colours, textures and scents. It’s been a busy day, and you need to relax and recharge! So check in to your accommodation – whether it’s boutique, family friendly or pulling up a spot in the campervan and put your feet up! After a long day on your feet, sit down for a delicious dinner. There’s many options including Clancy’s Restaurant and Overflow Bar or One Morgan Street Bar & Restaurant. The Roundabout Restaurant’s a la carte menu will tempt you with unique flavour combinations celebrating local produce, theatrical desserts and local wines. Fine dining and fine wine from one of the best cellars in the region are all under the big top at The Pavilion. Move freely from the bar to the plant-filled dining space before retiring with a aperitif in the lounge. Wherever you pick - start with a stylish cocktail, delight in the quality regional produce but always leave room for dessert! The choice is so hard, it may mean you have to come back again (or stay an extra night!) to try them all. If you want to extend the fun, stretch your legs with a walk up the main street for gelato at Gelatissimo or ice cream at Baskin Robbins. On your way, stop and take in at the specially commissioned digital projections on the north wall of the Civic Centre. If you know when you’ll be travelling in advance, check out the Civic Theatre’s line up – it might be comedy, drama or even dance! First published: 28 Sep 2017. 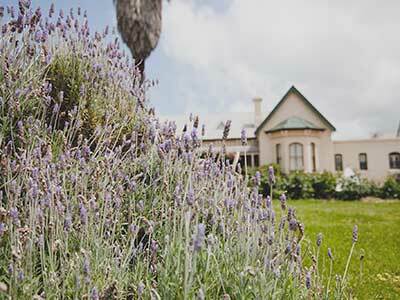 Only one day to spend in Wagga? Visit makers, creators, and boutique producers. Brunch, tasty bites, sweet tooth. There's something for every palate in Wagga.